The MIT Research Laboratory of Electronics and Lincoln Laboratory are teaming up to bridge quantum science and quantum technology for real-world applications. Harnessing the mechanics of the quantum world — electrons and photons — has revolutionized modern life. Semiconductor electronics, lasers, and atomic clocks all rest on scientists’ understanding of the quantum nature of light and matter. Still, we’ve only scratched the surface of quantum technology’s potential. Today, the emerging field of quantum engineering, which bridges quantum science and traditional engineering disciplines, promises to push quantum technology further. 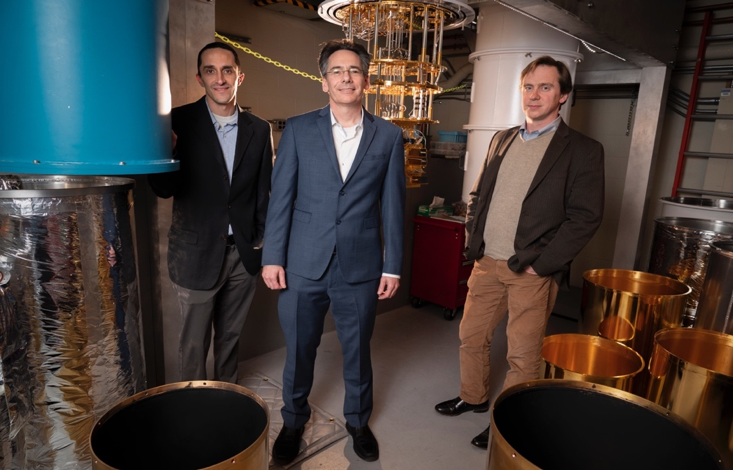 To lead the field, the MIT Research Laboratory of Electronics (RLE) and MIT Lincoln Laboratory are launching the Center for Quantum Engineering (CQE). The center will unite the expertise, infrastructure, and resources of Lincoln Laboratory and the MIT campus to accelerate the development of quantum science and its application to quantum technologies. Such technologies could transform cyber security, drug discovery, machine learning, communications systems, magnetometry, navigation, and more. Marc Baldo, the director of RLE, added that the interdisciplinary emphases on physics and engineering within RLE have synchronized perfectly for launching an effort in quantum engineering. “The fundamental thing is, this is a new frontier,” Baldo said. “We don’t yet know everything that quantum machines are going to be able to do. What we do know is that they are built on quantum physics — physics that you just can’t access in a conventional machine. Collaboration between MIT and Lincoln Laboratory in quantum research stretches back more than two decades to when Oliver and MIT Professor Karl Berggren, then at Lincoln Laboratory, teamed up with MIT Professor Terry Orlando to research superconducting quantum bits (qubits), the building blocks of quantum computers. “Much of the theoretical and algorithmic foundations for quantum information science as well as early experimental implementations were developed at MIT,” Oliver said. Both MIT laboratories have state-of-the-art facilities to support quantum technology development. Lincoln Laboratory has the Microelectronics Laboratory, an ISO-9001-certified facility for fabricating advanced circuits for superconducting and trapped-ion qubit applications. MIT recently opened MIT.nano, a more than 20,000-square-foot facility for exploratory fabrication development. Several sources of funding are backing the initiative. 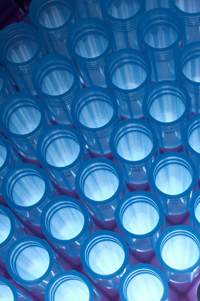 The National Security Agency’s Laboratory for Physical Sciences (LPS) — a founding partner of the CQE — intends to support graduate research fellowships, sponsored research, and educational curriculum development, pending availability of funds. “Educating a new generation of quantum scientists and quantum engineers is crucial to realizing the promise of quantum information technologies,” said Charles Tahan, the technical director of LPS. In addition, Lincoln Laboratory currently commits more than $4 million per year of internally directed investment on top of more than $15 million per year in sponsored programs addressing fundamental research in quantum information science and technology. A portion of these funds will support new graduate researchers and research activities under the CQE umbrella. The center will also benefit from a donation from T.J. Rodgers, founder of Cypress Semiconductor, who has pledged upwards of $5 million to develop a quantum packaging laboratory at MIT and offset costs of renovations at RLE to accommodate more researchers and collaborators. MIT will design undergraduate, graduate, and professional development curricula through the center to educate and promote a quantum workforce. A new course, Superconducting Qubits, was offered in 2018 and will run again in 2019. Additional courses are being planned for quantum control, quantum noise, noisy intermediate-scale quantum algorithms, and other topics. The CQE is also participating in the development of online classes through the MIT Office of Digital Learning. A four-course professional development series on Quantum Computing Fundamentals and Quantum Computing Realities made its first run in 2018 and will repeat again in 2019. Isaac Chuang, an MIT professor of physics and of electrical engineering and the senior associate dean of digital learning at MIT, said that industry professionals and young academics will be the targets of the center’s online educational programs. “These educational programs will accelerate progress towards traditional academic degrees, while also providing new certifications of mastery of quantum information processing fundamentals,” said Chuang, who is leading the CQE educational unit. The CQE will also establish the Quantum Engineering Industrial Consortium, which will provide industry partners with early access to advanced research and will host recruiting events that bring together students and quantum researchers with blue-chip companies, start-ups, venture capital firms, and U.S. government agencies. This consortium will work in tandem with The Engine, built by MIT, which invests in and supports start-up companies in Tough Tech (that is, breakthrough technology that isn’t readily commercialized), including those in the quantum space. “Our goal is to create a quantum ecosystem at MIT and throughout the greater Boston area,” Oliver added. Lincoln Laboratory staff members will participate in the CQE as appointed RLE principal investigators to further integrate the fundamental research efforts at the Laboratory with the work in groups at MIT campus. Jeremy Sage is the first Lincoln Laboratory staff member to be appointed an RLE principal investigator within the center. Sage has been working with Chuang on developing trapped-ion qubits and with MIT Professor Rajeev Ram on creating integrated photonics technology for controlling the qubits. “To be successful, we need a deep and tightly integrated understanding of both the physics of these quantum systems and the functionality of the hardware we are developing to control them. Creating opportunities to gain such understanding is one of the primary goals of the center,” Sage said. Initial projects at the CQE will center on superconducting qubit processors, trapped-ion processors, quantum communication technologies, and quantum sensors. “Going forward, with the support of the center, I believe we’ll be able to build on our groups’ success in quantum sensing and hopefully start new research activities geared towards modular quantum computing,” Englund added. Mark Gouker, the assistant head of Lincoln Laboratory’s Advanced Technology Division, which oversees the quantum group, said that he is “tremendously excited” about the center. Ultimately, he hopes this partnership model will extend beyond quantum information science.